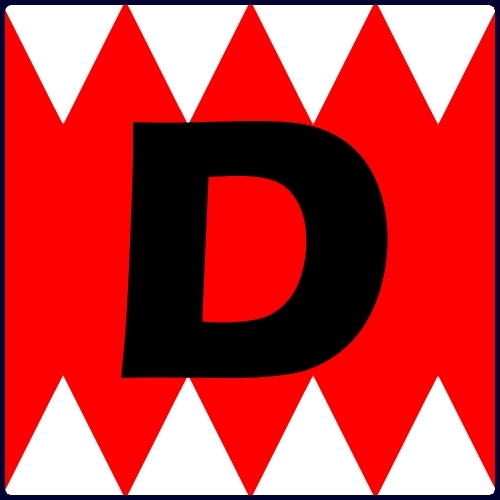 I apologise for the “looseness” of the opponent’s lists – I am writing this quickly while I have a couple of free moments and not able to check the lists in War Room. Liam chose first turn and I chose sides. I was rather cautious going into this game as I have never liked facing the Daughters of the Flame, as I usually find myself in a position to be unable to do anything about them without committing disproportionately significant amounts of my force. This time I had a plan, well part of a plan. Iron Flesh on the Iron Fangs makes them immune to blast damage now, so the idea was to have the Iron Fangs jam, and Butcher was going to scatter Obliterations over the top to catch the Daughters. In the end it didn’t really work that way (I forgot about Anatomical Precision which made a mockery of their ARM 20 Sheild Wall). But I did manage to get 2 with an Oblit on the light ‘Jack catching them in the blast. The rest were killed by some charging Iron Fangs (hot dice!) and a Grolar boosting to hit with his hammer and gun. Despite premeasuring I made a mistake with my placement of Ruin (I think I did sums wrong) and instead of being 1/2″ out of range of his ‘Jack, I was 1/2″ in. Good bye Ruin. That’s OK though, as Liam made a similar mistake with the placement of this ‘Jack and Butcher ate it up. I had my Eliminators skirt the battle and run to engage from a flank, but Severius was able to land a boosted spell (Ashes to Ashes?) that took care of them. Once the Grolar had finished taking care of the Daughters, he turned his attention to the Light ‘Jack, and scrapped it. At this point Liam conceded as his “old man” ‘Caster and single remaining ‘Jack could not deal with Butcher and a Grolar. With an hour left in the evening, myself and Rich decided to try 75pts on timed turns. If I only take one thing away from this game, it needs to be that lots of AOE’s and clumped up enemy models is a huge drain on timed turns!! Rich took 1st turn and I chose sides. Post deployment Rich decided that he needed a massive redeployment to face my army with any real measure of success. Fortunately for him, cavalry running allows for some pretty big movement on turn 1, and was able to have his cav reach the other side to face off against Conquest while Stryker and the ‘Jacks took the more central approach. Playing my Gun Carriage aggressively was hugely fun and I can’t wait to get in on the table again, though it did mean that Rich was able to kill it with a measure of concentrated fire. While I was able to start scoring first, and get ahead with controlling a zone, Rich pushed forward aggressively and caught up in no time by dominating the zone to my right. 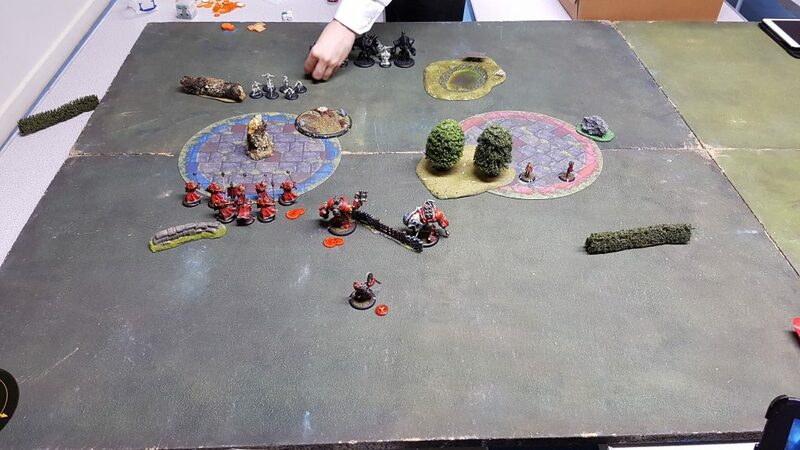 Facing the prospect of losing on scenario and not being able to anchor into the zone he was dominating with any reliability, I went for an assassination. Stryker had left himself on 1 (or possibly 2?) camp and advanced more than halfway into the zone, the chance was there. Sorscha advanced and then Wind Rushed laterally across the board and finished her movement a fraction inside of Ol’ Rowdy’s Counter-charge range (a factor which I am sure I knew at some point but had been completely forgotten) and he left Sorscha on 3 boxes. I admit this threw me, and I spent a long time trying to formulate a new plan but came up with nothing. As it was the end of the game either way (assassination/scenario) we rolled out both scenarios, as Rich saw my tilting and offered (as I was only *just* inside counter-charge range) to allow me to finish my movement just outside of range. Scenario 1: Sorscha gets counter-charged. 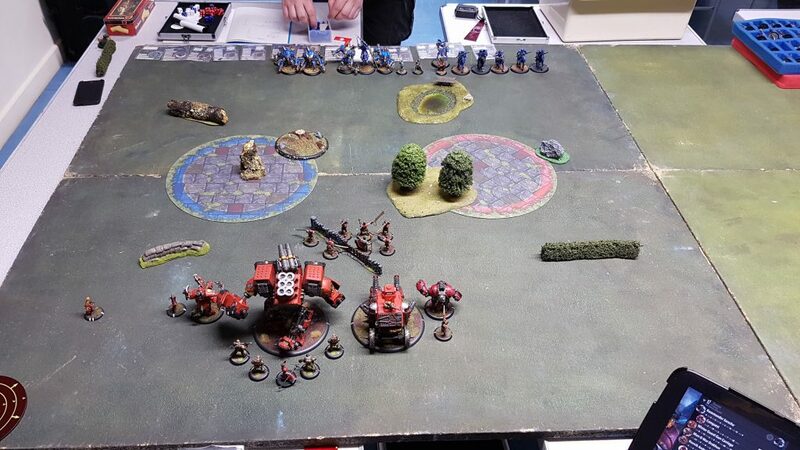 I feat and between Sorscha and Kovnik Malakov manage to kill Ol’ Rowdy, but I am out of the zone and can’t stop Rich from dominating again / charging Stryker at 0 camp Sorscha on 3 boxes and ending it. Scenario 2: Sorscha doesn’t get counter charged. I feat and fire Sorscha’s hand cannon at Stryker, as well as Razorwind spam before Malakov does the same. I cause some superficial damage to Stryker, but nothing major, and I am in the same position as scenario 1.